It's no secret that Crytek is interested in free-to-play gaming. 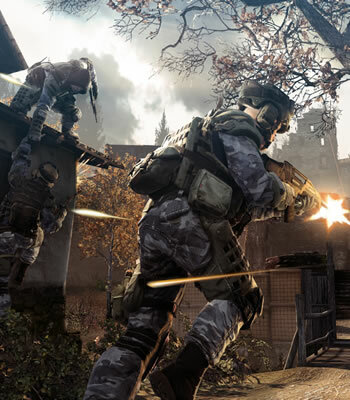 Starting with its upcoming F2P multiplayer military shooter Warface, company CEO Cevat Yerli revealed last summer that the studio was interested in shifting away from full priced retail titles in favor of high quality free options. Not only is that plan still in effect, but it's apparently more than half a decade in the making. "We decided five or six years ago that we want to marry the quality of triple-A games with the business model of free-to-play," Yerli told VentureBeat last week. "And out of that position, Gface and Warface were born. And at that time, we decided some other games, in some of our other studios, would head in this direction," he continued, without dropping any specific names. Although today's F2P games are generally of a lower quality than you might expect from a standard $60 retail release, Yerli believes that gap will close in the next two to three years. Crytek, for instance, is prepared to deliver F2P offerings with production budgets ranging between $10 million and $30 million to help ensure that they rival the quality of conventional retail games. Yerli acknowledged that Crytek still has "quite a few" traditional console titles in the pipeline while it studies the F2P model, but he hopes to shift away from full priced releases in as little as three to five years, depending on how the F2P technology evolves. This move will be part of a larger transition that Yerli says will transform Crytek from a developer to a service company with its own Steam-like platform that caters to freemium games -- be they in-house projects or titles made by other studios. Yerli noted that Crytek wasn't just building a new storefront for the sake of it. "If we could launch our games on a platform that already exists today, and we could get the same results, then we wouldn’t build our own platform," he said, adding that Crytek believes its offering will bring some worthwhile improvements to the table. Despite all this talk about Crytek switching to a service-oriented business, Yerli mentioned that the company is focused on making gaming better. "That's our principal."